I have a few fitness fanatical friends who have posted about a “Run Every Day in May” challenge. That got me thinking….but not about running. While some long to log miles, I long to log chapters, pages, and books. Reading is one of the single most important things a parent can do for a child. “Children are made readers on the laps of their parents.” ~Emilie Buchwald. I want my readers to take the month of May to begin developing the consistent patterns of behavior that will create a life-long learner, reader, and lover of books. 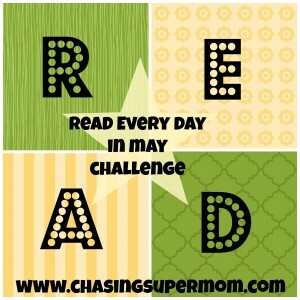 I want to extend a challenge to you today to READ every day in May. 1. Read to your child every day in the month of May. It would be easy to stop there. Many parents dutifully read to their child at bedtime, faithfully patron their local library, and help their toddler flip through board books. We know just how important it is to read to our kids. (In my top three things a parent can do for their child along with pray for, and encourage.) But, I want to challenge you to be an example to your children during the month of May. Children who see their parents enjoying reading will be much more likely to be life-long readers. So, part two of the challenge involves YOU. Let your child see you lost in a book. Allow them to see you choosing a book over the tv. Let your child know that you never outgrow books. When appropriate, talk about what you’re reading with them. I hear from SO many women that they just don’t have time to read. Make the time. Read just one chapter a day. If you hate books (you haven’t found the right book yet), read Vogue. It doesn’t matter what you read, just READ. Sign in to our Read Every Day in May Event page on Facebook! Get the word out and help keep yourself accountable with the Chasing Supermom community. Log in each day and share with everyone what you are reading with your child and for yourself! 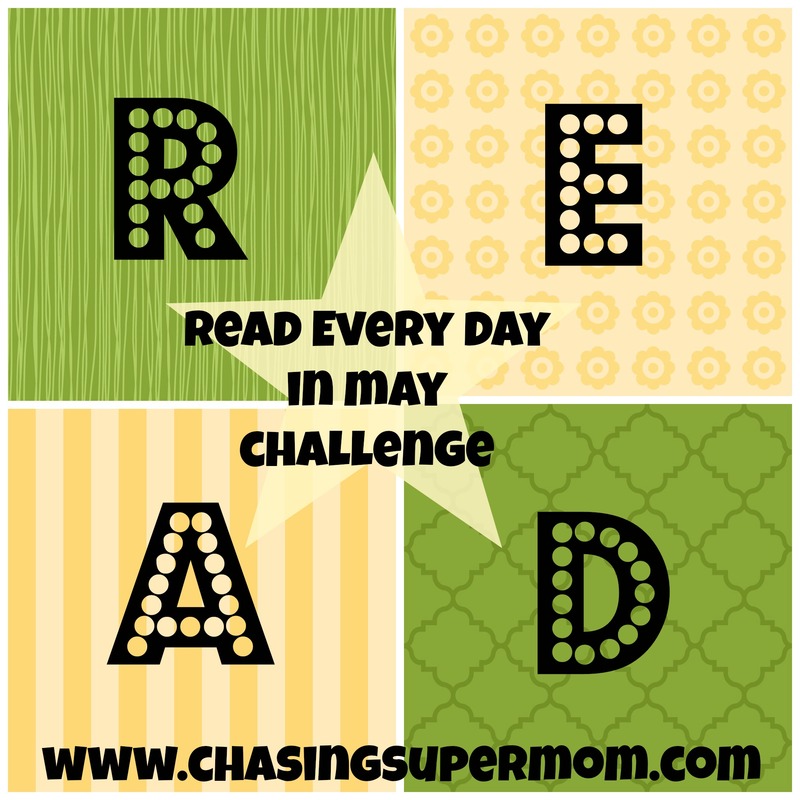 I can’t wait to take the challenge with you and see what you will be reading! I look forward to connecting with you on the Facebook event page!